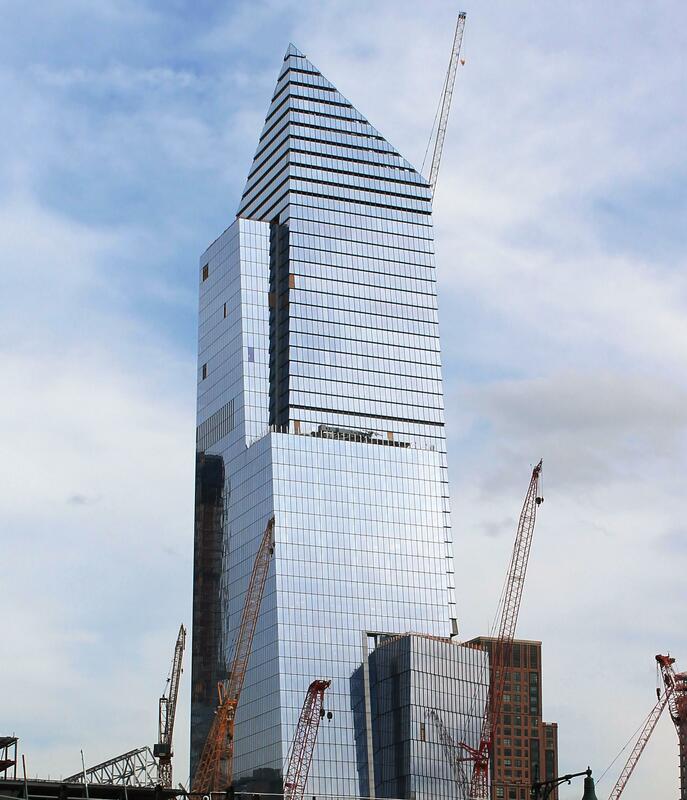 HYTC is the first tower to be erected in the Hudson Yards Development And is constructed with overlapping curtainwall units to create a shingle effect. Hudson Yards is a large-scale redevelopment project that is jointly planned, funded and constructed by the City of New York, the State of New York, and the Metropolitan Transportation Authority to encourage development along the Hudson River in Manhattan, New York City. HYTC is the first tower to be erected in the Hudson Yards Development And is constructed with overlapping curtainwall units to create a shingle effect. At almost 900 feet tall, Tower C has 1.7 million square feet of space and the visual appearance of leaning toward the city. General Contractor: Tutor Perini Building Corp.